Whether you are facing business colleagues and clients, or your family and friends, your smile tells the world who you are. A healthy smile with clean, white teeth tells the world you are confident and care about the important things in life. The first thing we think of when talking about missing teeth is the effect it has on our outward appearance. We all want to have a confident smile with beautiful pearly whites. When teeth are missing or damaged we are often less confident in ourselves and the way we will be received by others. Our ability to communicate is also affected by our teeth. Missing a tooth can make it more difficult to pronounce certain words properly, which can make it more difficult for us to communicate to our colleagues or friends and family. Teeth that are missing or damaged to the point that they are not able to function properly can change the way you eat. Chewing on the opposite side or avoiding certain foods is often the result when a tooth is missing or damaged. And because avoiding eating can lead to a change in your nutritional intake, this can also lead to a lack of proper nutrition. Convenience – If you had full or partial dentures, then you probably remember the embarrassing feeling of having to remove your dentures when the situation calls for it. Having dentures also means the application and re-application of dental adhesive throughout the day. If you get the best dental implants Scottsdale has to offer, you can say goodbye to that inconvenience. Improved self-esteem – With all the benefits listed above, it is but normal to feel a lot better about yourself when you have Scottsdale dental implants. The renewed confidence dental implants bring about can encourage you to smile more often in public or when getting your picture taken. With dental implants, you won’t have to cover your mouth when talking to someone or when you’re laughing. With improved self-esteem, you will be able to enjoy life more. Radically improved appearance – As mentioned earlier, one of the biggest issues with having missing or damaged teeth is appearance. 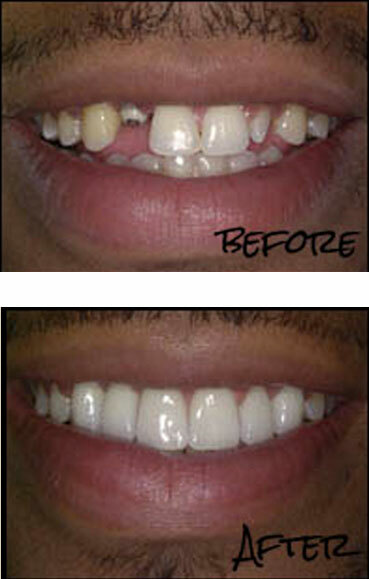 A dental implant radically enhances your appearance, as it does look and feel like your own teeth. Unlike other options, a dental implant has the potential to become permanent as it is designed to fuse with bone. Significant improvement in speech – It is common for people with missing teeth to slur certain words, depending on where the gaps are located. Some may even sound like they’re spitting or lisping when speaking with missing teeth. Even if you’re wearing dentures, they can still slip inside your mouth and cause you to slur or mumble your words. Nothing of the sort happens when you have dental implants, which should allow you to speak with confidence in a tone that is more relaxed and natural. Enhanced comfort – Full or partial dentures bring with them a certain measure of discomfort or even pain, especially when they don’t fit perfectly. Dental implants, on the other hand, are anchored securely to your jawbone. Hence, dental implants are already part of you, and they will feel natural without any discomfort or pain. Eating becomes easier – Chewing your food is such a chore when you’re wearing dentures that constantly slip and slide. That changes when you have dental implants, which are meant to be replacement teeth that look, feel, and function the real thing. With dental implants, you can eat anything you want with confidence. Improved oral health – A tooth-supported bridge requires altering nearby teeth. Dental implants don’t have any such requirement. With dental implants, your other teeth are left intact, which contributes significantly to your long-term oral health. Even your oral hygiene is enhanced since individual dental implants give you easier access to the spaces between your teeth. Durable teeth replacement – As long as they are properly cared for and maintained, dental implants last far longer than dentures or any other conventional teeth restoration method. Dental implants may even last you for the rest of your life. A missing tooth or teeth that are too damaged to be restored to their original healthy appearance can be replaced with dental implants in Scottsdale. This procedure can replace a single tooth or several teeth, depending on your personal dental needs. After preparing the space, a titanium screw is inserted into the bone where your original tooth was and then a new ceramic tooth, created just for you, is attached to the screw. Dental implants do not need any special care and can be brushed and flossed just like your own natural pearly whites. With this technique, you will never have to worry about denture cleaners or adhesives. Plus, dental implants in North Scottsdale look and feel much like your own natural teeth and can be cared for just as easily. HOW DO I GET DENTAL IMPLANTS IN NORTH SCOTTSDALE? Contact us to schedule a consultation to determine if this procedure is right for you. We want to help you show the world you are someone special with a clean, bright smile! Our highly advanced, cosmetic dentistry office located in beautiful Scottsdale, Arizona offers you a relaxed setting with the ultimate in care and personalized attention, just for you! Fill out the form below to send us a message.